At Dale’s we pride ourselves in carrying a large variety of in-stock pavers and retaining walls. We are a proud supporter of Michigan made brick lines from Fendt, Oaks, and Unilock. We also carry various natural stone & boulder options that are perfect for any landscaping project. 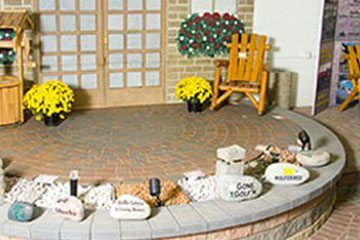 You can choose from our huge supply of Michigan Sandstone, Exotic Veneer Stone, Field Stone Boulders, and many Flagstone selections for projects big or small! we provide most of our material in any amount your project requires. Whether you need fifty tons of rock or fifty pound bags of rock, you can get what you need at Dale’s. 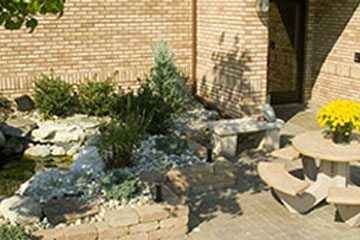 Serving the Metro Detroit area for over 40 years, Dale’s Landscaping Supply, Inc. is dedicated to providing the finest quality and largest selection of landscaping materials available. 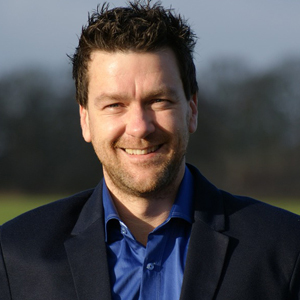 Our experienced, knowledgeable staff is committed to keeping our retail customers and landscape contractors informed about new products and trends in the landscape industry. 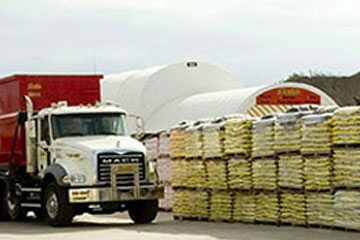 We take pride in providing prompt, efficient service to all of our customers, and look forward to continued growth in the tradition of Dale’s. Don’t have access to a truck? No worries, Dale’s has you covered. With a fleet of various sized trucks we have the ability to haul materials for any job, large or small. Delivery rates are based on quantity of materials being shipped. Call our office for pricing. Have a large commercial job needing mass quantities of material? 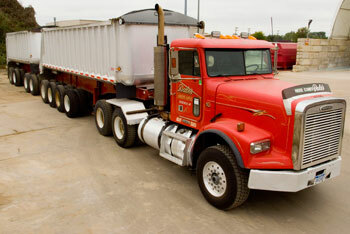 You’re in luck - Dale’s offers direct shipments of most bulk and pallet materials. We provide many quantities through direct shipment. 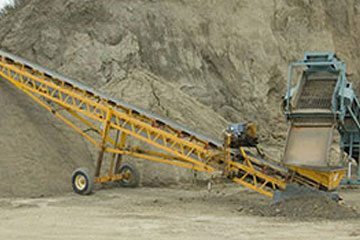 We offer sizes ranging from 30-50 tons. As well we can provide 30, 50 and 120yd loads of mulch. 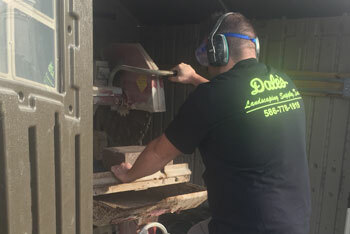 If you do not have access to a saw and only have a few cuts, let Dale’s do the work for you. Just mark your brick or block where you need it cut and we will take care of the rest. Saw cutting charges depend on the size of the block or paver being cut. See our price list for pricing. We offer the highst quality products from the best brands. Let’s get started! Contact us today. Needed to completely redo our landscaping and we had NEVER done any type of project like this before, so needless to say, we were very overwhelmed! The staff at Dale's was SUPER friendly and took their time to help us figure out everything we would need for our project and even helped us to come up with some additional ideas which ended up saving us a lot of work and money! 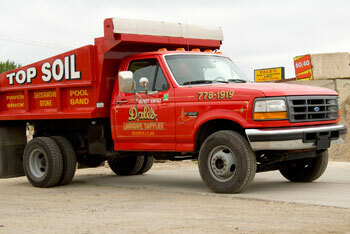 Dale’s has a wide variety of landscaping products for any sized landscaping job. From start to finish, they will assist you to make sure you have all the products needed for completion of your project. 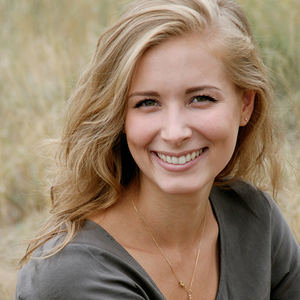 Superior service with a smile! They are so helpful at Dale's and have a great selection of stone, brick pavers, mulch and more.